503-628-0838 support@rwls.com Simple. Reliable. Affordable. Our exterior digital load scales work on most tractor and trailer air suspension axle configurations. 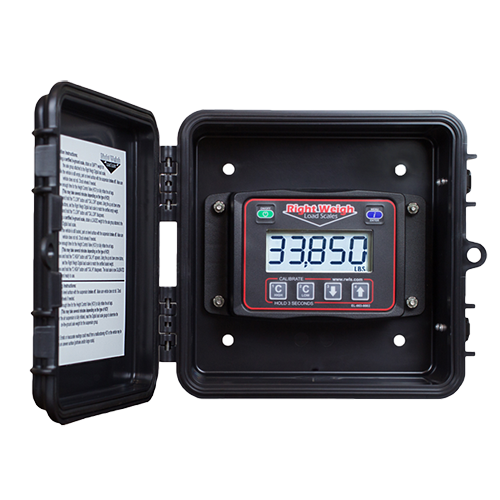 The on-the-ground weight is displayed on an easy-to-read LCD display. The Bluetooth enabled model works with our app to display weights on your smartphone. These scales can have one or two air inputs. The dual air input scale can be used to monitor a single axle group with two height control valves or it can be used to monitor two separate axle groups on the same vehicle. This scale has a simple two-point calibration and comes with optional PIN code protection and overweight warning feature.